At 159 yards, this is the first of four excellent short holes, in whatever direction the wind may blow. 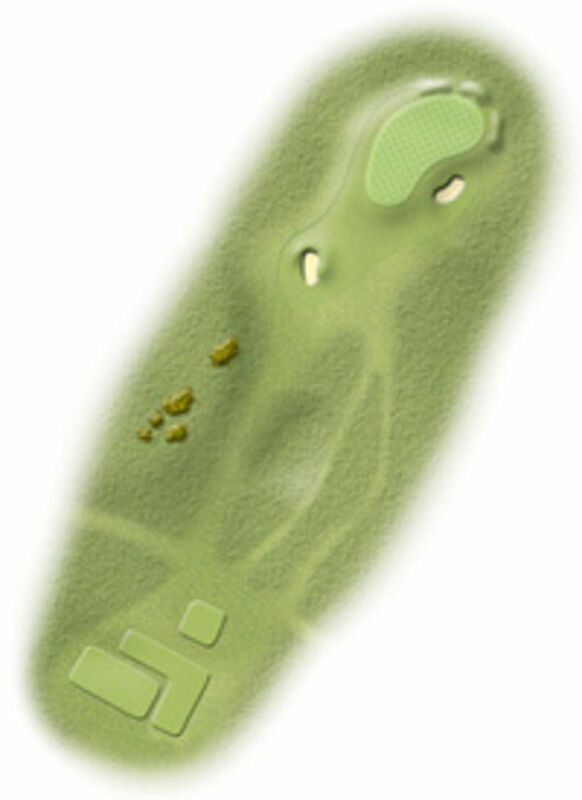 A narrow green, falling away to rough on the left; the pot bunker on the right gathers in a slightly cut tee shot. Miss the green and your short game will be tested to the limit.